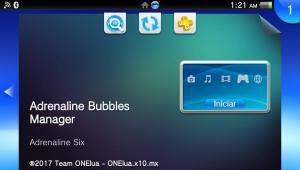 Adrenaline Bubbles Manager v3.05 ready for Adrenaline v6 and Lman’s new adrbubblebooter version! Adrenaline and adrbubblebooter plugin got updated, so Adrenaline Bubbles Manager v3.05 is here! 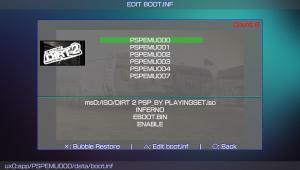 Recently we got another dose of Adrenaline by Theflow as a vpk injection, details here. Not that much later, Lman released the new version of his great adrbubblebooter plugin, details here (both posts by Aurora). 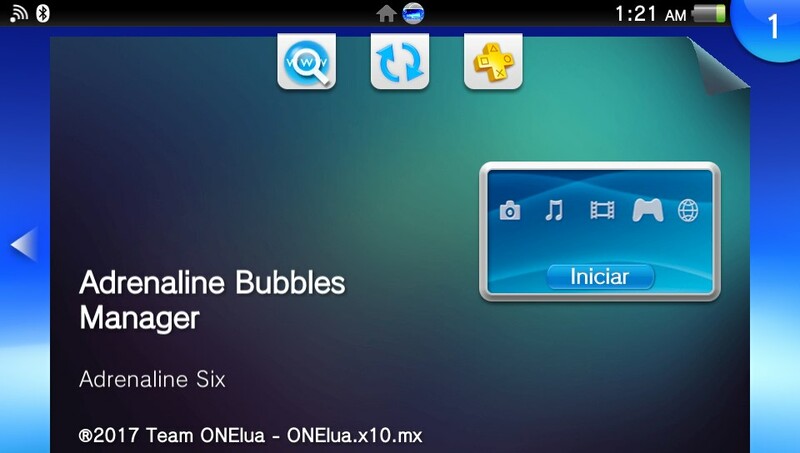 So, it was time for Onelua Team to work on Adrenaline Bubbles Manager v3.05 (ABM)! 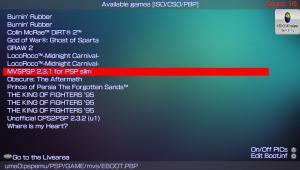 For this new version Gdljjrod added more versatility to ABM, cause besides creating PSPEMUXXX.vpk files and installing them (all done within the vita!) if you like Adrenaline v5 better, you don’t have to look for an special version to suit your needs  . 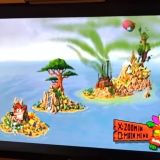 For those wondering, what the heck is BaltazaR4 talking about? 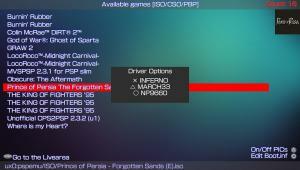 let me tell you, ABM 3.05 can find out the installed Adrenaline version on your vita and give you the right options for that version. So, if you have Adrenaline v5 and don’t want to move on to Adrenaline v6, ABM will still work for you, and if you didn’t wait and updated to Adrenaline v6, guess what? you can use this version of ABM too no problem!. 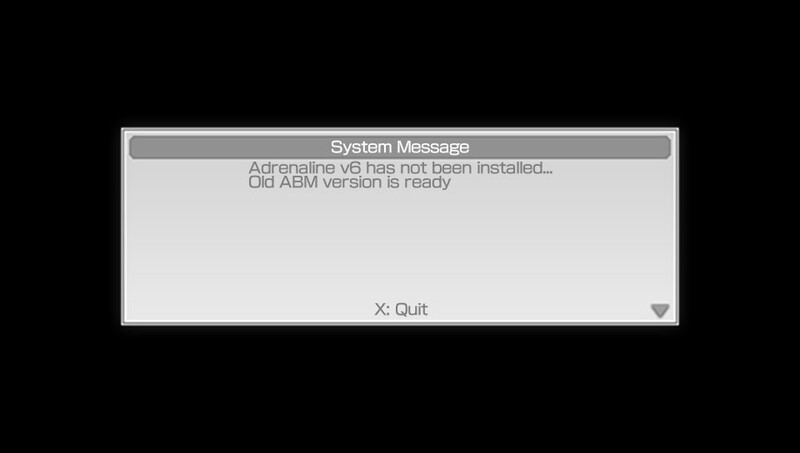 This time, thanks to Gdljjrod, we can enjoy an ABM update which works with both Adrenaline setups. 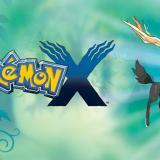 X to select the iso/cso/hb to be launched with the bubble to be created. O to edit the boot.inf file or to go back to previous window. /\ to show selected content pic1 on the background. 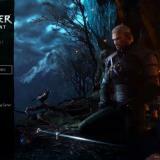 START to go back to livearea. ABM will get the icon0.png and pic1.png from the iso/cso/hb to set as bubble and startup icons and pics, otherwise all the pspemuxxx bubbles will have Lman’s black icons and pics. 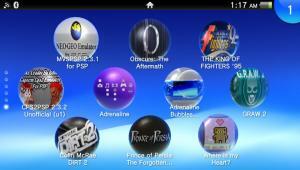 After choosing the desired driver and loader the ps vita will restart to load the images taken from the iso/cso/hb. There is only one issue at this moment with ABM, after a db rebuild/update the images from the iso/cso/hb will be gone, but thats why there is a new option included. ABM’s Bubble’s icons restore option added! 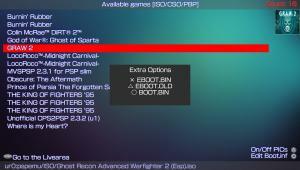 Yes, to compensate the issue mentioned above, the option to restore icons and pics from is0/cso/hb inserted on the bubble was added. 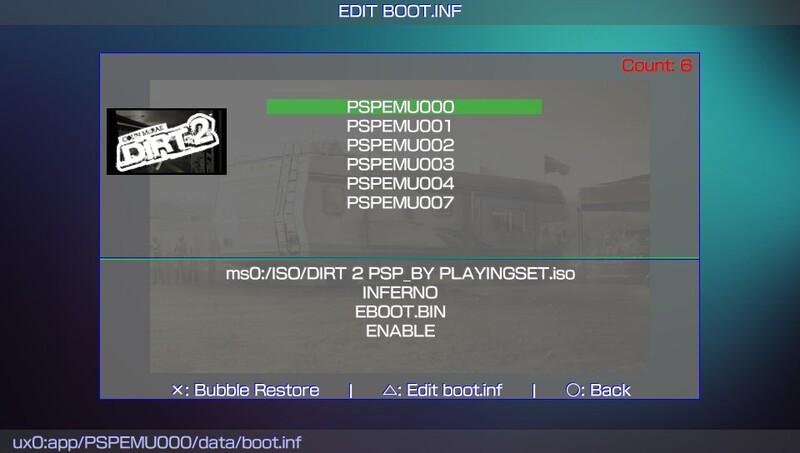 To use this feature you have to go to the Edit Boot.inf with O and a list of installed pspemuxxx bubbles will be displayed and then on that list get the cursor over the bubble to be restored and press X. After that all you have to do is follow the instructions and the icons/pics from the iso/cso/hb will be back without having to do the whole process again! But fear not!  Onelua Team is working on some cool trick to avoid losing the icons/pics changes with the db update/rebuild, so, stay tuned. If you don’t have any version of ABM installed (I’m wondering why? :P) you can grab it here! And if you already have it installed and want to have this new version just in case you want to update to Adrenaline v6 then you can use the online updater! 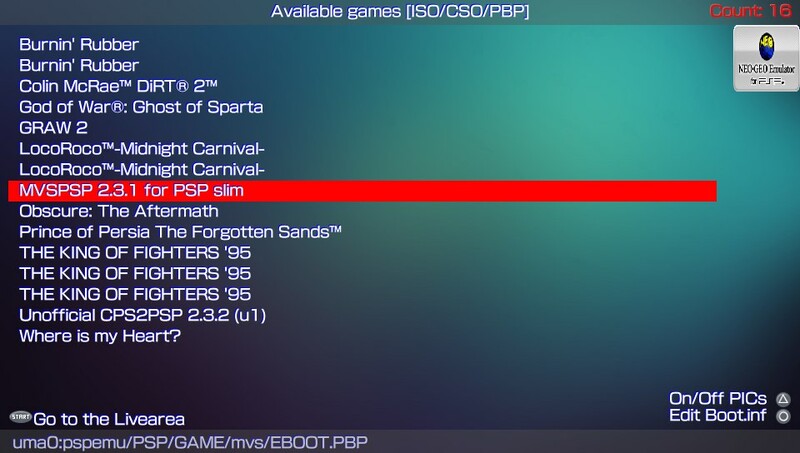 You are wrong, the vpk version we had is pretty much the same but it generated vpk files using the tool on a pc but this one is done on the vita itself so there’s no need to drag&drop vpk files and install using vitashell. Please opensource ONELua, everyone is worried there is a backdoor and suspicions can only be lifted if you opensource it. Not sure if i’m the only one with this problem but the new version seems to crash a lot just as it’s supposed to bring up the text window to choose a name for the bubble. Well, I’ll talk to Gdljjrod about that issue, to me it worked very good when tested, I created 6-8 bubbles in a row in every test without any issues. 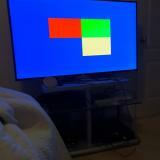 Is it happening with all the games? or is it happening only with a few games? Awesome! I spent hours last night trying to figure out why my new bubbles were taking over my Adrenaline bubble. And now I can get rid of ArkFast for cloning. I would change the button label from “Quit” to “Continue” in the System Message windows because it looks weird saying Quit to “Getting the resources ready for your new bubble” “TITLEID: PSPEMU001” etc. I’m so stoked that this was updated! It works awesomely! Thank you ONELua!! Does it take space to make bubbles? 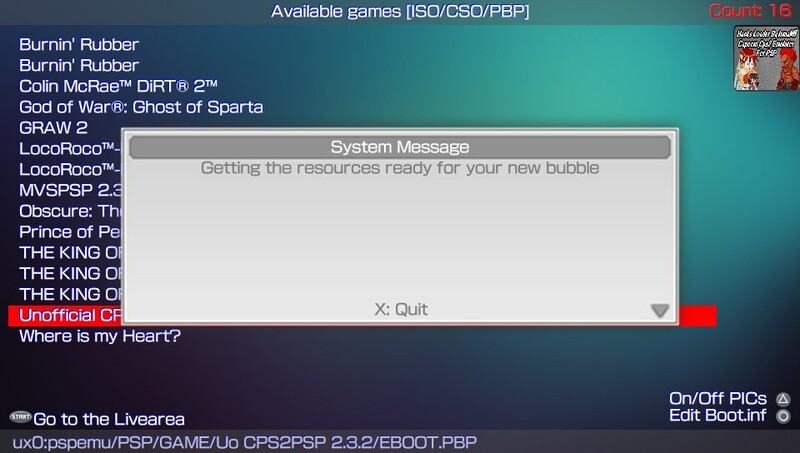 I boot up the Bubble Maker and it says Adrenaline is not installed even though I have the latest version installed. 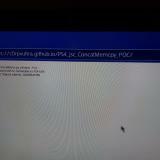 Does anybody know why I am getting this error? 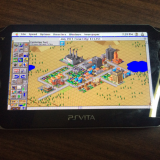 Is anyone know to dump psvita 3.61 game? i’m too bored play 3.60 game. just asking.